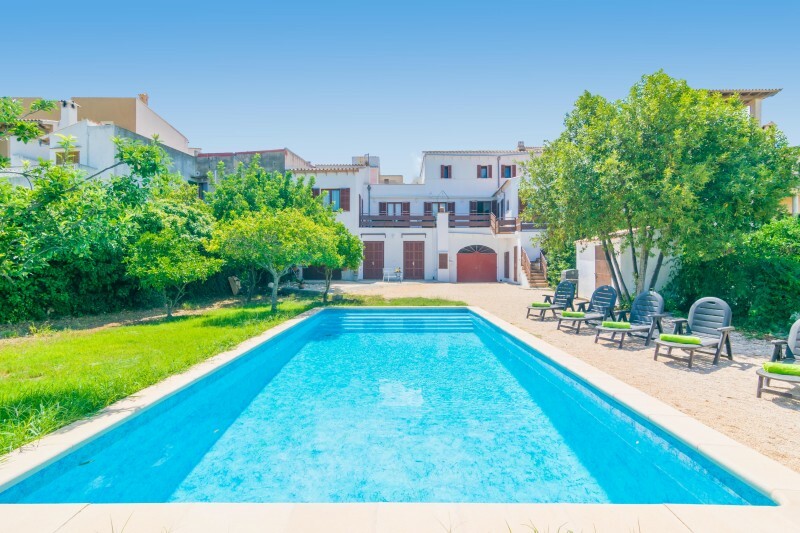 Set near Capdepera, this enchanting house with private pool and lush-green garden is just a few kilometers from Cala Ratjada and offers accommodation to 8 guests. 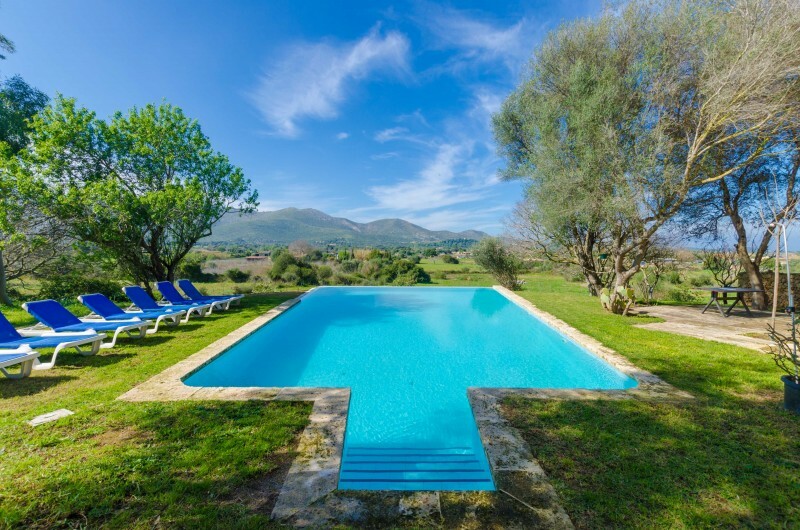 The private, 9m x 4m chlorine pool, has a depth between 1.5m to 1.7m and there you can swim accompanied by mountain views, surrounded by tranquility and nature. 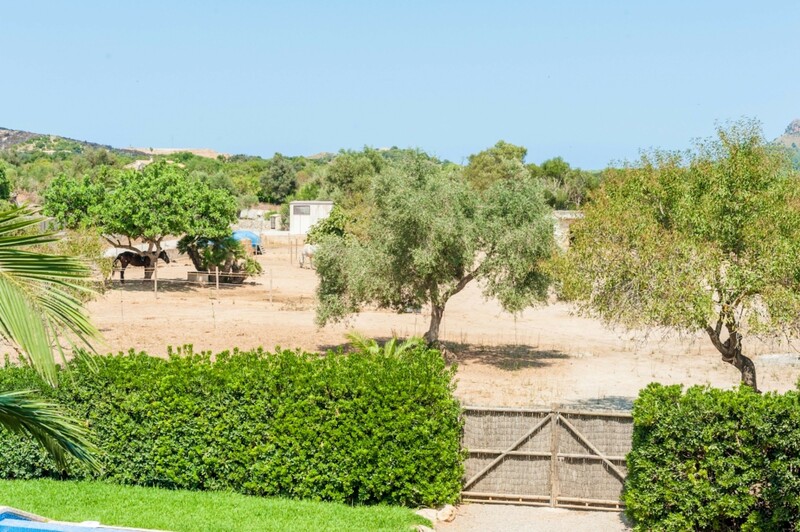 The well-kept garden hides idyllic spots for relaxing, basking in the sun on eight sun loungers, having a barbecue or reading a good book under the palm trees. Enjoy great al-fresco dining on the furnished porch. A nicely decorated pond with water plants is the home of frogs and other small animals. 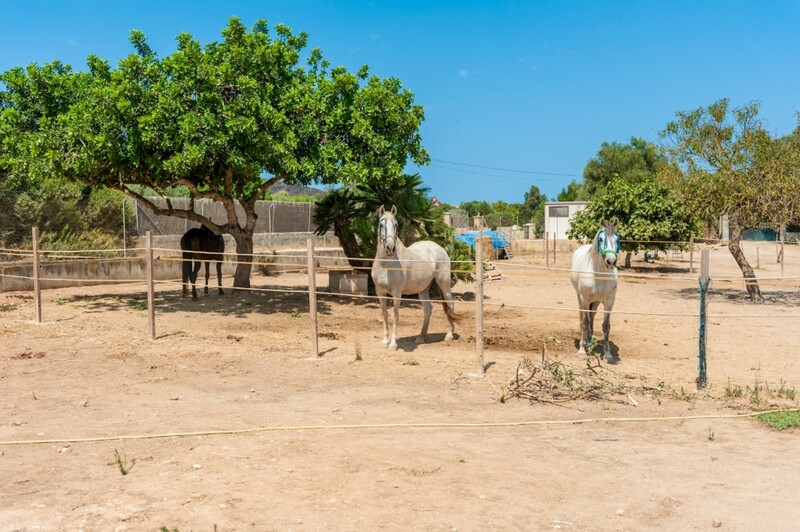 Next to the house, there’s a stable with two horses and the owner takes care of the animals. This charming villa is fenced and there are no direct neighbors around. 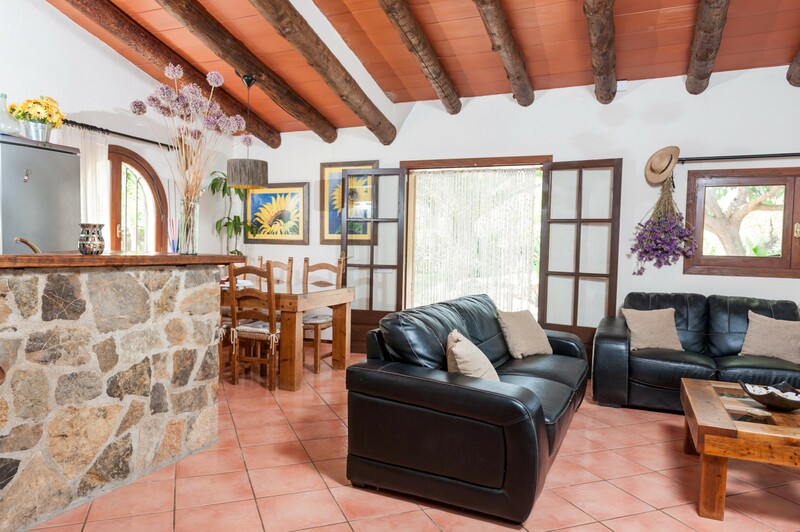 All rooms of this one-storey house are designed with a rustic simplicity that will make you feel at home. 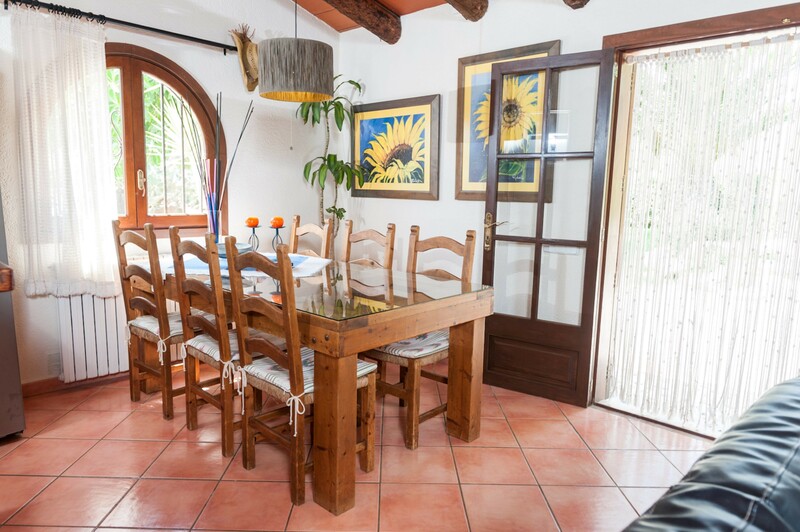 A big door leads you to the sitting-dining room with open kitchen where to watch a film on the satellite-TV, listen to music or watch a DVD with your children. The small kitchen with gas stove is fully-equipped. There’s a laundry with washing machine, iron, dryer and ironing board. 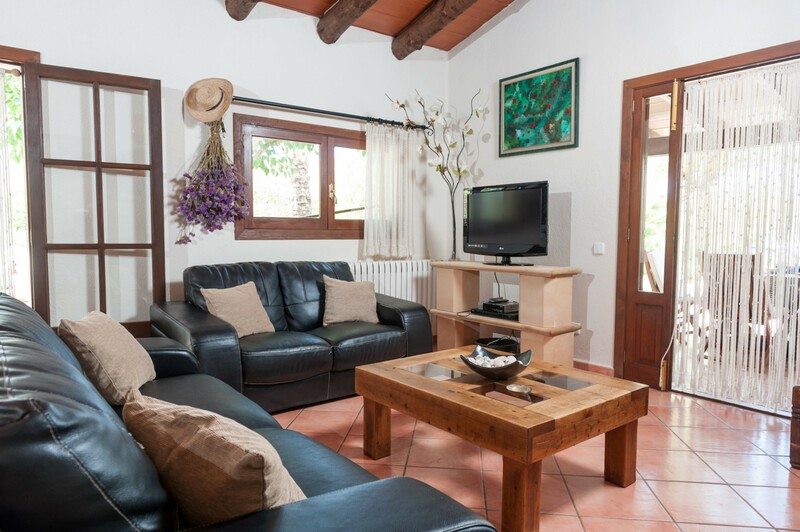 Ideal for eight guests, this lovely villa has four bedrooms: three with a double bed each and one with a trundle bed. A cot and a high chair can be provided upon request. It features two bathrooms; one with bath tub and one with shower. 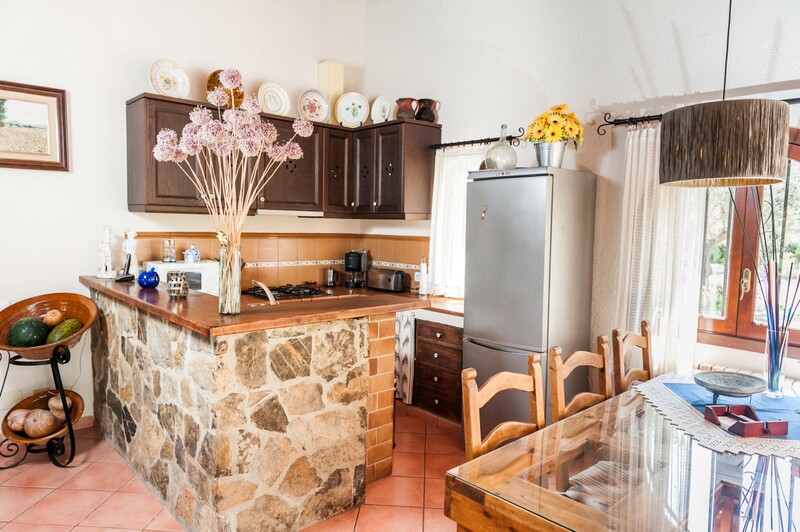 This cottage is in a quiet area, but the zone is nice for excursions, playing golf or enjoying the beach. The centre of Capdepera is characterized by cobbled streets, good restaurants and a medieval flair. The Castle of Capdepera is at the beginning of the town and has marvelous views to the coast. 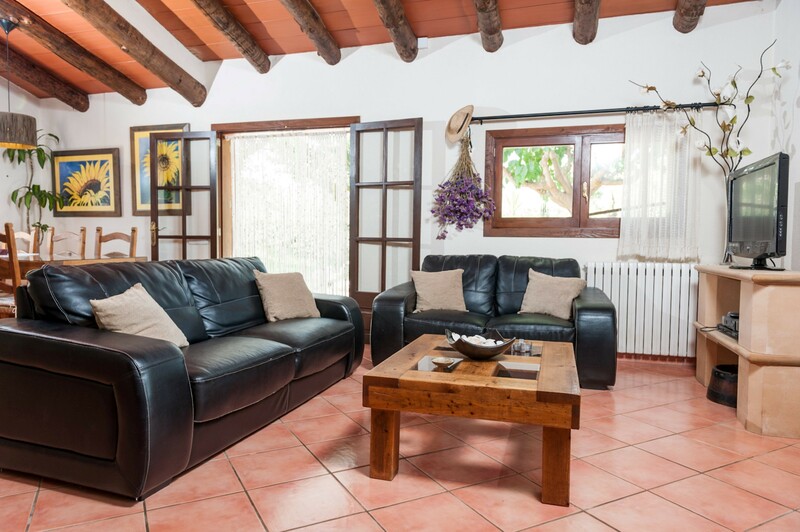 At the same time, the coastal town Cala Ratjada is quite close and it’s known for a rich nightlife with bars and discotheques, shops, supermarkets, restaurants and nice beaches like Cala Agulla and Son Moll. Cala Torta, a small, natural beach is only accessible by car. The golf course of Capdepera is just 2.5km. There's exterior parking for 2 cars. Horse riding is not possible.